Taking the kiddos to get a haircut can be quite stressful. It’s totally understandable, unfamiliar people touch their hair and approach them with sharp objects. Cartoon Cuts understands the dilemma and has created a concept that makes the entire affair fun for both the parents and the little ones. 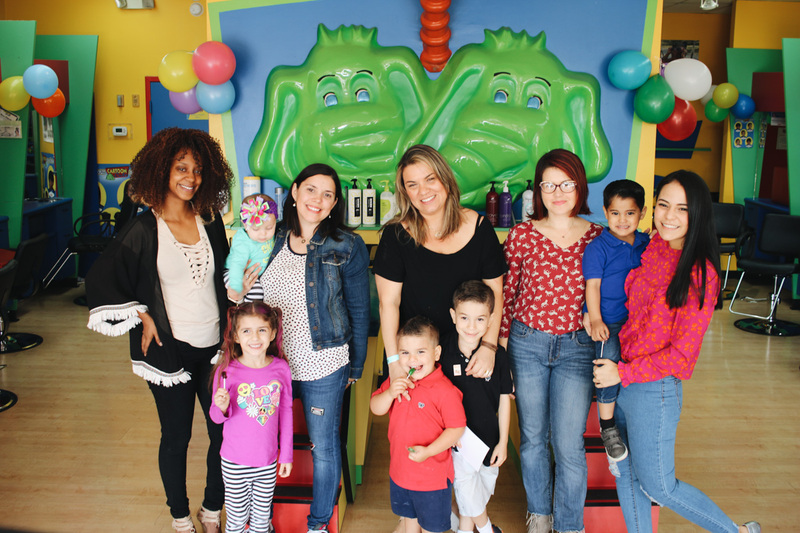 A group of South Florida Mom Bloggers visited the salon with their kids and discovered a colorful and friendly salon. As soon as we stepped into the salon, the fun began. The kids were greeted with green cupcakes featuring Ellie the Elephant (their green elephant mascot) – along with fresh fruit and breakfast baked goodies. While the moms explored the location, the kiddos found their way to the waiting area – complete with video games, toys, and art tables. Have you ever had your hair washed by an elephant? No? Well, you have to try it. The hair washing stations feature Ellie the Elephant with beds where the kids can lay and relax while they get their hair clean and ready for that cut. With clean hair, it’s time to choose a hairstyle. Just point at your favorite hairstyle from the menu and that’s where the adventure really begins. Each stylist station has a TV where the tiny customer can pick to watch cartoons, movies, and games. Do you have a favorite video or movie you love to watch? Bring it with you. 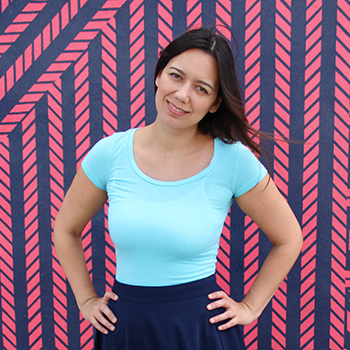 Once everything was said and done, Mia from Mami needs a break had pink and purple highlights in her hair and a smile from ear to ear. These two studs from Mami in Miami got modern cuts with a faux mohawk detail.